After lighting the match last week, “UnREAL” put the fire to the fuse and set off a nuclear bomb between Quinn and Rachel. Changing things up from the traditional fight patterns, they went about the duo’s split in a subtle matter throughout most of the episode, hinting at a possible reconnection early on before blowing it all to hell by episode’s end. To answer for her, yes, Darius, she is familiar with something like that, but no, she doesn’t see your point. The two platonic couples’ fates are tied together, it seems, and both are headed for a fiery end. Rachel is so sad, you guys. Worse yet, she’s so sad that she doesn’t even know how bad things have become. After spending all of Season 1 trying to balance her morals with the demands of her job, Rachel has given in completely to getting her version of “Everlasting” on the air. The ends justify the means, but the means are getting downright crude. Oh so obviously hitting on Romeo was manipulation at its laziest — not even the expert-level wooing we know Rachel is capable of. Same goes for Coleman, as she didn’t even feign a move on the man in control of her fate. She’s tying herself to her new boss in more ways than one, and more ways than seem necessary, especially when he seems so interested in her before hooking up. While Quinn’s breakup still hurt her, the fact Rachel didn’t change tactics or alter her behavior one iota shows just how committed she is to putting her cause — and, thus, her career — above anything and anyone else. [Note: The final shot, zooming in on the car that should be Quinn’s but also Rachel and Coleman’s crotch felt like a visual nod to Rachel having the “balls” to own her “power grab.”] And while we can understand how she could get tunnel vision in the twisty world of “UnREAL,” her stubborn hold on her mission may make it all the worse when she finally realizes what she’s done — if she ever does. Quinn losing her best friend and dad in less than a day could have sent her into tantrums, or led Zimmer to read lines with the wild abandon of a dramatist depicting emotional turmoil. Instead, she applied another layer of steely veneer to Quinn’s hardening shell — and was all the more fascinating to watch for it. 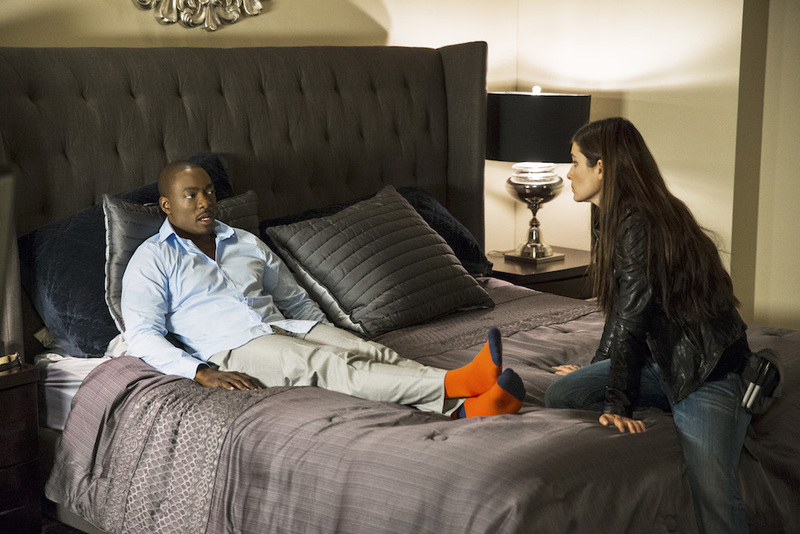 “UnREAL” just pulled a brilliant role reversal without making it look like anything at all. The pinnacle of masculinity, a professional football player surrounded by scantily clad women, was given an epidural in order to survive the pain of playing a sport made up exclusively of men. And what are epidurals most commonly associated with, especially when it comes to TV and movies? Pregnant women. Granted, pregnancy usually doesn’t risk paralysis, but just the fact Shapiro & Co. were able to put their stud male athlete in a position comparable to an activity particular to women speaks volumes of the fun they must be having writing these episodes. Okay, so Quinn is the obvious choice here, but either her or Rachel could win every week. And since I feel like they’re only going to get better as Season 2 progresses, let’s take a moment to look at Jeremy (Josh Kelly). Yes, his gross beard thing is being matched by gross behavior, but just how knowledgable is he about the pitfall he’s setting for himself? Clearly still hung up on Rachel, he’s doctored up a “Hot Rachel” to annoy his ex, and now he’s sleeping with her. When will those lines he’s created to form a connection between the two women get crossed in his own head? When will he realize what he’s done is kind of sick: before or after he and “Hot Rachel” get serious? Is he even in good enough shape to get serious with someone? All signs point to trouble, of the irresistibly juicy variety. This picture is a picture that exists because of “UnREAL” Season 2. That, in and of itself, is a great thing because of its sheer absurdity. But what I’m appreciating even more this year than last is how much the “Everlasting” events look like actual “Bachelor” competitions. Before watching Episode 4, I would’ve believed this was a real still from “The Bachelor,” and using Chet as a target of all our ire — a man transformed into the most disgustingly macho version of himself — only makes the connection all the more palpable. 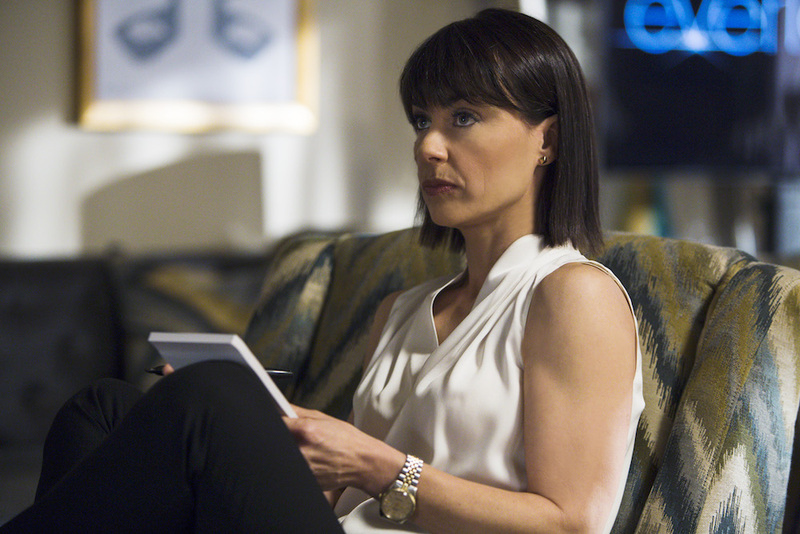 “UnREAL” says so many things well, sometimes it’s nice to just sit back and admire the little things it does without commentary — that still say so much.